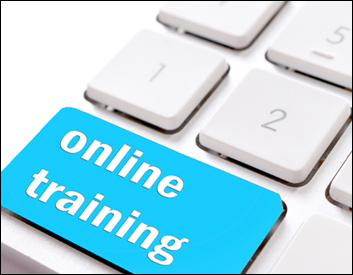 Paster Training, Inc. has been training classroom style courses since 2001 and now we have branched into e-Learning. Train your team on your time and also keep track of how well your team members are understanding the material. E-Learning makes it easy to deliver a consistent message through your entire establishment. The SURE™ Food Safety Manager online course utilizes a self-paced, web-based approach to emphasize the importance of preventing foodborne illness and ultimately an outbreak in the food service and retail industries. At the conclusion of the course, participants will be prepared to take a Food Protection Manager Certification Exam accredited by the American National Standards Institute (ANSI) – Conference for Food Protection (CFP). The SURE™ Texas Food Safety Employee program meets the requirements set forth by the state of Texas, in which is it required that anyone who is involved in the preparation, storage, or service of food to have a Food Handler Card. Employees are the core of food service and retail establishments and must know how to keep food safe. Food safety is an essential part of any food service or retail operation. This online program is designed specifically for businesses that have a liquor license in the Commonwealth of Pennsylvania to prevent sales or service of alcohol to a visibly intoxicated patron or minors under the age of 21. Successful completion of the program and passing of the exam with an 80% or better will merit a certificate valid for two years in the Commonwealth of Pennsylvania. This satisfies one of the five parts necessary for RAMP compliance. The Certified Professional of Food Safety course is a proprietary credential of the National Environmental Health Association (NEHA). The Certified Professional of Food Safety (CP-FS) online course has been developed by industry experts to provide participants with the knowledge and skills necessary to help ensure safe food in any retail environment — as a quality assurance or quality control manager, a facility manager, a food-safe chemical supplier, or a regulatory inspector/investigator. Effective September 1, 2018 - All online courses purchased after September 1st will be FINAL. Online courses will be non-refundable.